Great people to do business with. They will help you get a great deal on an nice dependable vechical. They helped me with every step of getting my new car and any questions I have had. 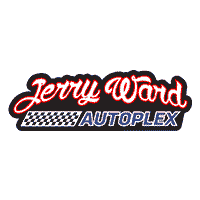 Thank you so much Jerry Ward Autoplex. This was one of the easiest and honest car buying experiences I have had. The guys were all very down to earth and made everything very easy. We went to Jerry Ward after having a pretty bad experience at a different dealership. I'm glad we went through that because it made this process even better for us. Tony really helped keep us informed and did his best to make sure we had the best deal possible. 5 stars isn't enough. Being part of the Jerry Ward family means 10 stars. I gave an excellent rating because of the friendliness, helpfulness and knowledge that the salesmen had of their cars on the lot. They were not pushy and the ease of going through the process of the paperwork was great. Everyone knew their cars and their job so everything was done with ease and they made you feel like family.